If you’ve heard of Lane Departure Warning, it’s probably pretty obvious what it does; it can keep Arlington drivers from drifting out of their lane, prevent collisions, and keep the roads safe. As part of the Honda Sensing™ safety suite, Lane Keeping Assist and Road Departure Mitigation Systems are standard in many new Honda models, and combine to offer more than traditional lane departure systems. See how this safety feature can protect you and yours for every trip through Memphis. How Does Lane Departure Warning Work? This helpful system goes to work the moment you start your vehicle, offering a second pair of eyes on the Cordova streets. Lane Departure Warning does not activate while using your turn signal. Lane Keeping Assist can even automatically adjust the brakes to compensate and keep you in your lane and on the road. 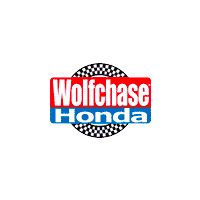 See how the Honda Sensing™ safety suite can contribute to safer trips through Germantown when you test drive at Wolfchase Honda! We’re here to answer all your questions and can tell you more about this package of features when you contact us today! 0 comment(s) so far on What is Lane Departure Warning?